At INTERNSPLUS we have the experience to arrange that dream placement that will enable you to gain valuable experience in a professional environment. Our staff are trained to match your skills and competencies and to take into account your preferences in a company related to your academic background. We are located in Dublin, Ireland which is home to the European Headquarters of many multinational companies such as FACEBOOK, CITIGROUP, GOOGLE, EBAY to name just a few. 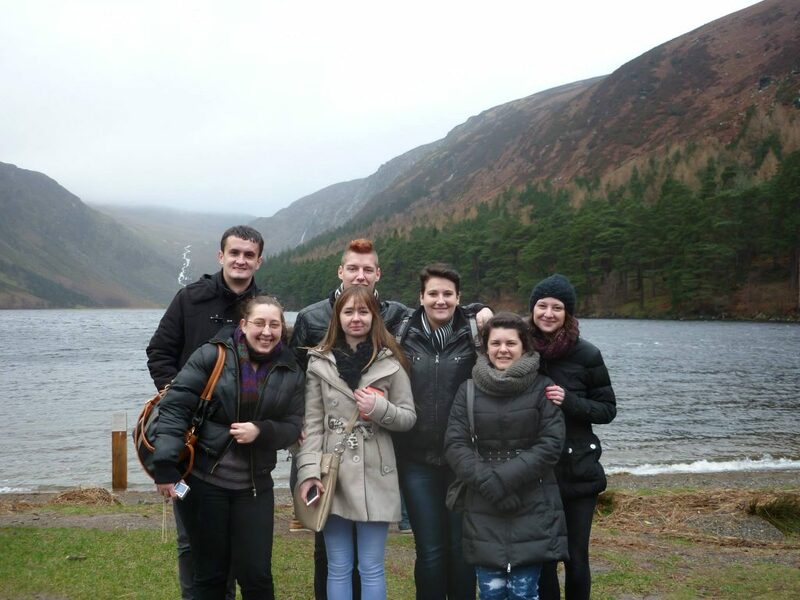 Ireland is a country where English is the first language so it is the ideal location to carry out your Internship. For more information about Dublin www.visitdublin.com We have an extensive database of host companies willing to provide you with that ideal experience. In todays highly competitive job market it has never been more necessary to have practical experience as well as a Degree, employers prefer a candidate that is familiar with a working environment and not straight from University. An Internship can make that difference and make you stand out from the crowd . Newly arrived intern Jennifer from Germany makes a new friend. Just to quickly let you know that we received an absolutely amazing feedback from Carolin about everything – our pre-departure work, your support in Ireland, her placement and especially her homestay. So big thanks for all your work. Time flies... especially when you love the city where you live in and the experience you are doing!!! Working for my organisation is simply great! I enjoy the atmosphere, my colleagues and the job itself. I am part of the “Education & Training” programme which provides educational events, training, workshops and programmes on environmental, sustainability and related issues. I'm learning how to plan, develop and deliver environmental education activities and link them to a variety curriculum subjects. All these activities represent an ideal space for collaboration between ENGO’s, government, children, young people, adults and green business and actually I'm having the opportunity to meet and talk with lots of people. I must really thank you for having me given this amazing chance!